If you are planning a visit to Cape Cod and are looking to do some sightseeing, consider a Cape Cod boat tour. Boat tours are a great way to explore scenic Cape Cod. Not only can you see the amazing wildlife and natural landscape but you can also view the historic lighthouses, beautiful bridges and local yachts and sailboats in the area. Some of the boat tours listed in the article are a combination land and sea tours so you can also see the sights on land as well on the water. These boat tours are also a fun activity if you are visiting the area during a tour of Cape Cod and have some downtime in between activities. Boat tours are relatively inexpensive, take only an hour or so and are fun for the whole family. 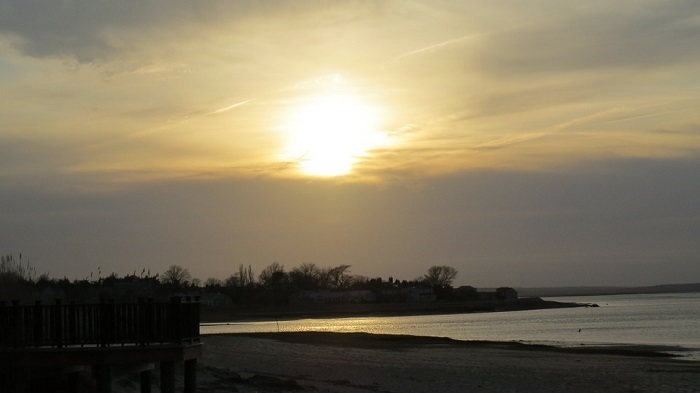 Viator offers a two-hour Martha’s Vineyard Sunset Cruise. This tour explores the Edgartown Harbor area of Martha’s Vineyard aboard a luxury motor yacht called the Plan Sea. The tour departs from Memorial Wharf, 53 Dock St., at Edgartown Harbor for a relaxing narrated cruise through the harbor before entering Katama Bay. In the bay you’ll see Katama Bay Oyster farm and view the local wildlife before leaving the harbor and entering the Nantucket Sound. In the Nantucket Sound you’ll see the Poge Point Lighthouse on Chappaquiddick and you might have a chance to see the luxury mega yachts that are too large to fit in the harbor. Any kids on board can also have a chance to steer the boat. The ship will return to the Memorial Wharf Dock at around 7:30pm. The tour is available Thursday and Saturday evenings at 5:30pm, 6pm and 6:30pm. Viator offers a Harbor Cruise in Plymouth. This is a 75-minute narrated cruise on the Pilgrim Belle riverboat through beautiful Plymouth Harbor. The tour departs from the State Pier for a relaxing cruise through historic Plymouth harbor. During the cruise, you can enjoy the sites and scenery on the sun deck on the upper level or enjoy a nice quiet ride in the climate-controlled indoor cabin on the lower level. Cruises are available at 11am, 1pm, 3pm and 5pm. Cape Cod Duckmobiles offers Land & Sea Tours of Hyannis. This 45-minute tour explores downtown Hyannis and Hyannis Harbor aboard an amphibious vehicle. Some of the sites you will see include the church that the Kennedy’s attended, the JFK memorial, the JFK museum, historic sites where the early settlers lived, the waterfront area as well as the local lighthouses and beaches. Hyannis Port, Massachusetts in Cape Cod. The tour is available spring through fall at 11am, 1pm, 2:30pm and 4pm and is available in the summer from 10am to 5pm every half hour. Bay Spirit Tours offers a Lighthouse Harbor Tour, a Sunset Cruise and a Music Cruise in Hyannis, Massachusetts. The Lighthouse Harbor Tour is a 75-minute tour that explores Hyannis Harbor aboard a 63’ motor catamaran. The tour begins at Hyannis inner harbor where you will see a replica of Brant Point Light before continuing on to Great Island to see Point Gammon Light. Then, you’ll head to Hyannisport, viewing the navigational tower at Bishops & Clerks en route, to get a look at the Kennedy Compound and Hyannis Harbor Light before heading back to Hyannis inner harbor. 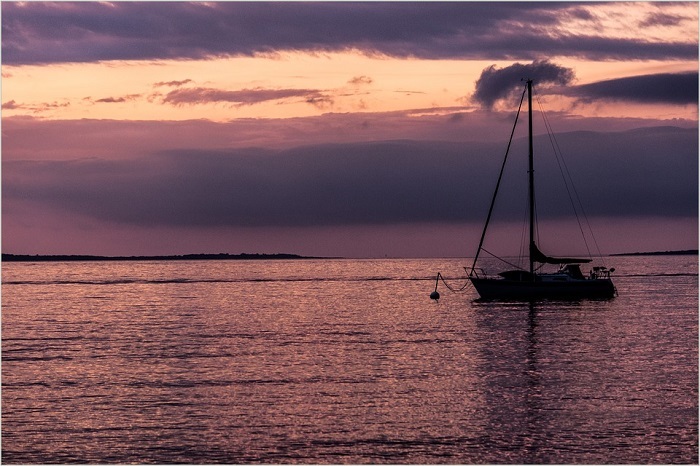 The Sunset Cruise is a 75-minute cruise around Hyannis Harbor at sunset aboard a 63’ motor catamaran. The cruise features light music and a bar on the lower level of the boat where you can purchase wine, beer, mixed drinks, soft drinks and snacks. The Music Cruise is a 90-minute sunset cruise featuring local musician Brian Sances. The cruise features light music and a bar on the lower level where you can purchase beer, mixed drinks, wine, soft drinks and snacks. Hy-line Cruises offers a Hyannis Harbor Cruise and a series of Cape Cod Canal Cruises in Hyannis, Massachusetts. The Hyannis Harbor Cruise is a one-hour cruise that explores Hyannis Harbor. Some of the sights you will see on the tour include Great Island, the Kennedy Memorial, St. Andrews-by-the-Sea, Squaw Island, Point Gammon Light and the Kennedy Compound in Hyannisport. The Cape Cod Canal Cruises explore the Cape Cod Canal. Some of the sights you will see include the Sagamore Bridge, Bourne Bridge,Vertical Lift Bridge, Gray Gable, Herring Run, Aptucxet Trading Post, Scusset Beach Fish Pier, Sandwich Boat Basin, the Massachusetts Maritime Academy and Cape Cod Bay. 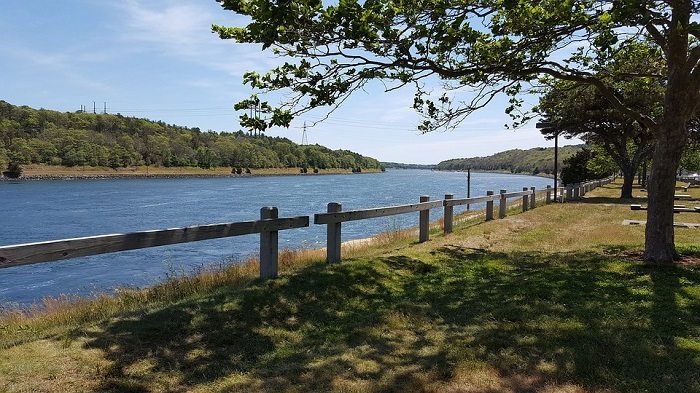 The Cape Cod Canal Cruise is available as a three-hour cruise, which travels all the way through the canal to the Sandwich Boat basin, and a two-hour cruise, which travels as far as Herring Point. Both cruises feature live commentary about the history of the area and the various points of interest. The company also offers variations of this canal tour such as a Family Cruise where kids ride free, a Sunset Cocktail Cruise, a Friends and Family Music Cruise and a Live Music Cruise. Blue Claw Boat Tours offers a Seal Watch Adventure Cruise, a Beachcomber Expedition, a Sunset Cruise, a Full Moon Cruise and a Fireworks Cruise in Chatham, Massachusetts. The Seal Watch Adventure Cruise is a 1 hour 45 minute cruise from Orleans to Chatham harbor to see the local seal colony. En route you’ll also see local marshes and islands, Cape Cod National Seashore, the Chatham Lighthouse and the local fishing pier. The Beachcomber Expedition and Seal Tour is a 2 and ½ hour tour to Chatham Harbor to view the seals and then explore a local beach. After viewing the seals, you’ll be dropped off at beach that is only accessible by boat where you will then have one hour to comb the beach for shells, beach glass and other treasures. The Sunset Cruise is a 90-minute tour to Little Pleasant Bay. The tour cruises slowly down a saltwater river to the bay while you enjoy the scenery and watch the sun set. The Full Moon Cruise is an evening cruise on nights when the moon is full. The cruise travels to Little Pleasant Bay at dusk to watch the moon rise over Nauset Beach. The Fireworks Cruise is a special 4th of July cruise to view the fireworks display over Pleasant Bay. 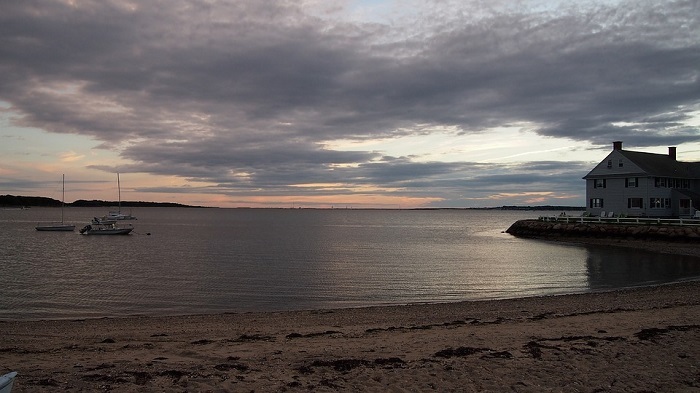 The cruise travels to Pleasant Bay at dusk and anchors in the bay to watch the fireworks display overhead. Barnstable Harbor Ecotours offers a Sandbar Explorations tour in Barnstable. This two-hour tour explores the many sandbars of Barnstable Harbor. During the tour, you’ll hunt for spider crabs, moon snails, scallops, mussels and horseshoe crabs in a small group led by a professional naturalist.